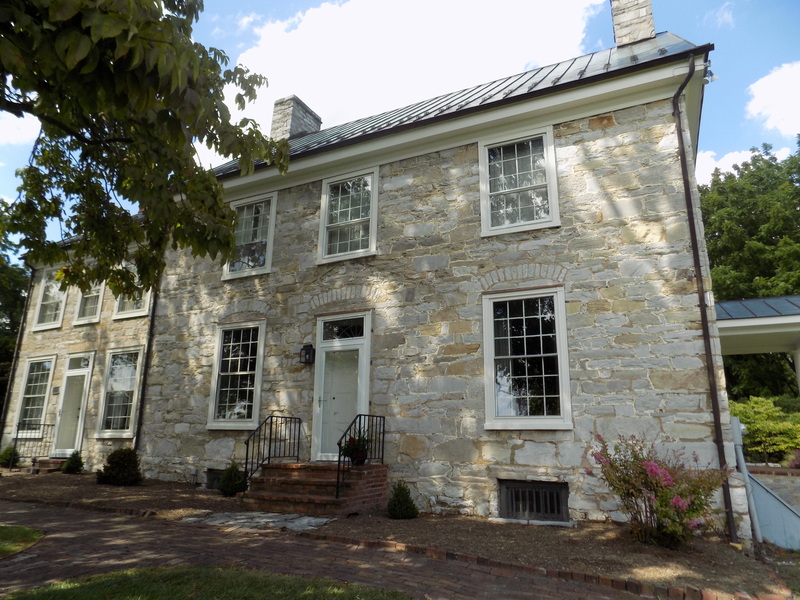 Last week we talked about early colonial history sites to tour in Winchester, Virginia. You just might need to plan longer than a day to explore this wonderful town, located about 75 miles west of Washington D.C. in the pristine Shenandoah Valley. Abram’s Delight is located outside Winchester’s downtown district. It might be easiest to search the address on a map or GPS system if you’re arriving in town and starting here. If you’ve been in the old town district or at George Washington’s Office Museum, then drive east on Cork Street; make a right turn on South Pleasant Valley Road; Abram’s Delight will be on the left before you reach Millwood Avenue. Signs should guide you to the location. Parking is free at this location. You’ll get to go on a guided tour of the log cabin and stone house. Be sure to check in at the “headquarter’s building” to get tickets and meet your docent guide. Winchester-Frederick County Historical Society’s giftshop is located here and offers a variety of history journals, books, and other items of local history interest. Be sure to check out the mill stones along the waterway, near the parking lot. Around 1728, Abraham Hollingsworth journeyed into this region of the Shenandoah Valley, looking for place to settle his family. Here, where the family house stands, he discovered rich soil, good land, and a reliable water supply for the mill he wanted to construct. 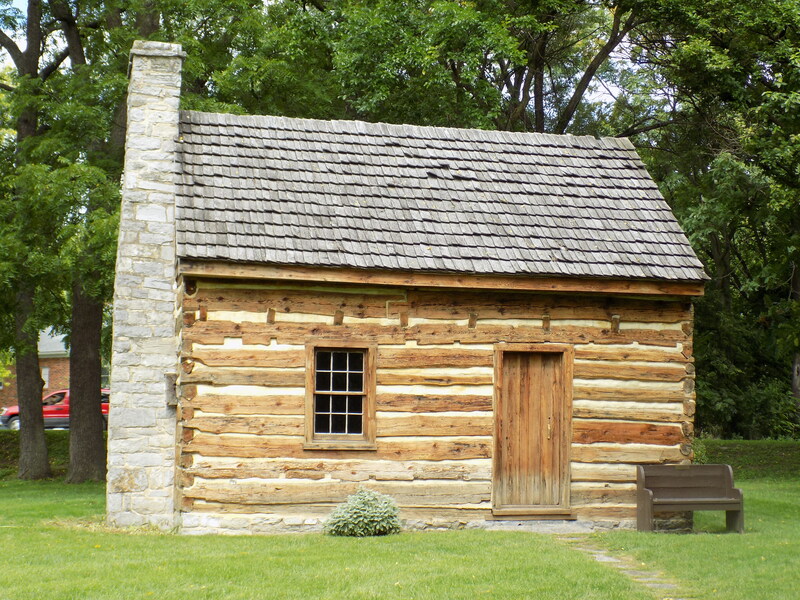 With the proper paperwork complete, Abraham Hollingsworth claimed his 582 acres and built a log cabin. Historians think his first cabin and the well were probably surrounded by a log stockade as protection in the wild frontier. The Hollingsworth family prospered, and several years before Abraham’s death in 1748, they started building the stone house which still stands today. Abraham Hollingsworth often described his land and residence as a delightful place to see, hence the name of the historic site. When Abraham and his wife, Ann, died, their second son inherited that part of the property. Isaac Hollingsworth completed the first phase of the house which his neighbors regarded as a mansion. A devote Quaker, Isaac wanted to use his dwelling as a meeting place for the Society of Friends. Isaac’s son, Jonah Hollingsworth inherited the “mansion” and made considerable additions. Jonah and his wife, Hannah, had thirteen surviving children and they needed a lot of room! Circa 1800, they added the home’s west wing, constructing it out of stone that matched the original structure; they also added windows and improvements to the attic, making extra room and sleeping quarters for the numerous children. David Hollingsworth, one of Isaac’s sons, took possession of the house and made more changes/improvements in the 1830’s. He moved staircases, made dividing walls in the house permanent, and introduced nice additions to make entertaining easier; since he was a prominent citizen in the Winchester community, he and his family often hosted parties and gatherings. David added more delights to the place, creating a lake to the south of the house for both beauty and to send more water to his mill. David’s three children inherited the house and property two years before the Civil War. The conflict changed the landscape and the family forever. In the end, Annie Hollingsworth survived her other siblings; in her final years, she closed the property, gave it to cousins, and the house remained empty for nearly three decades. Five generations of the Hollingsworth family lived, ate, played, worked, argued, entertained – really lived – in the house. Five generations of an American story. Happily, in 1943 the home was purchased by the city of Winchester to preserve and protect the oldest structure in their local past. In 1961, the house opened as a museum and has continued to teach the history of the valley and the story of the Hollingsworth family for years. The house known as “Abram’s Delight” has the story of its owners built into its very walls. Look carefully, and you’ll see the additions and changes that different generations made. 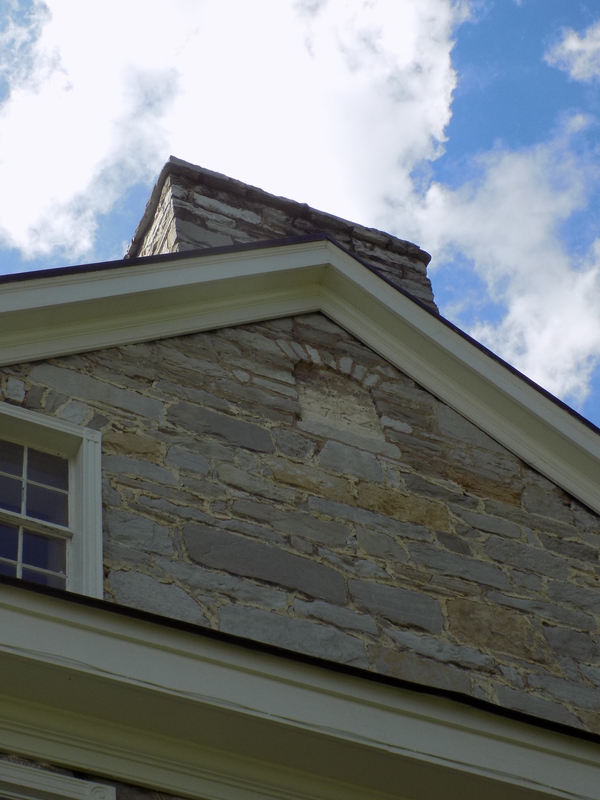 Simon Taylor was hired to lay the stone of the original house in the colonial period and the walls are 22 inches thick! Notice the addition of the west wing and attic windows. The west wing copied the older stonework but there are visible difference if you look closely. A reconstructed log cabin waits on the west lawn for exploration. Though not the one Abraham Hollingsworth built, it gives a glimpse of the type of cabins the early settlers spent their days in and contrasts with the stone mansion of the later decades. Take a tour and you’ll get to see the inside of the stone house and log cabin, hear about the special artifacts and more about the family that lived here. What are some of your favorite historic homes to visit that tell the story of a family?